When legendary George Orwell wrote 1984 on Jura, as well as describing the island as an unforgettable place, he also said it was an extremely un-getatable place. Not any more! 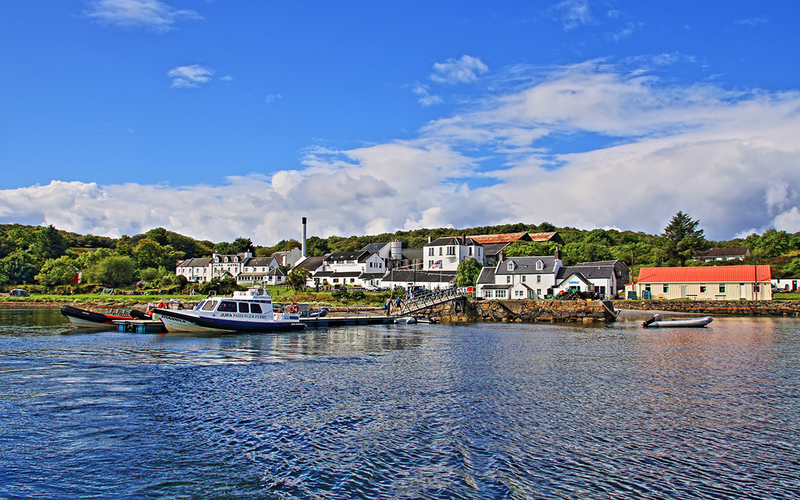 On this ferry, visit the spectacular Isle of Jura in less than an hour from Tayvallich on the Knapdale Peninsula. 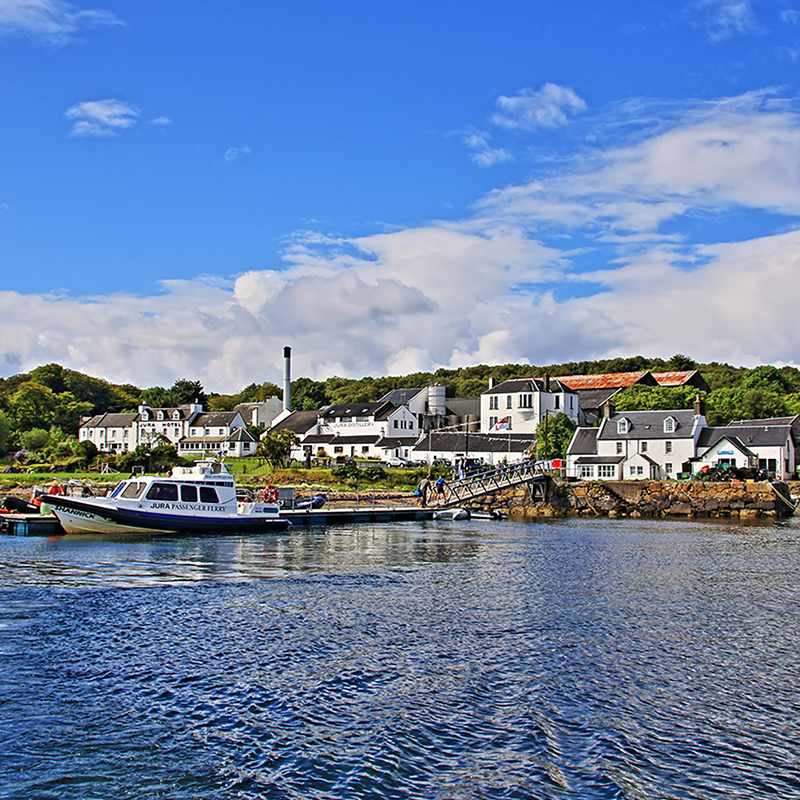 To go from Glasgow to Jura, you can travel by boat and bus in under 4 hours. 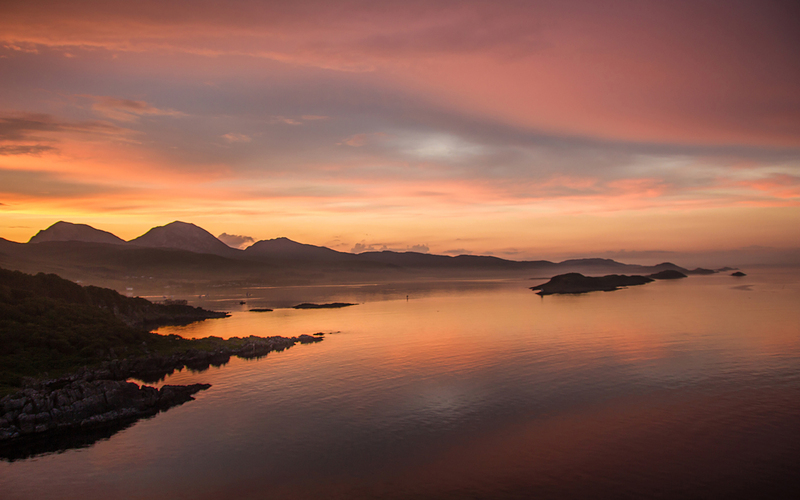 If travelling even further afield from London, simply take the sleeper train to Glasgow, catch the bus Glasgow-Lochgilphead-Tayvallich and step onto the rib to Jura in just 12 hours! 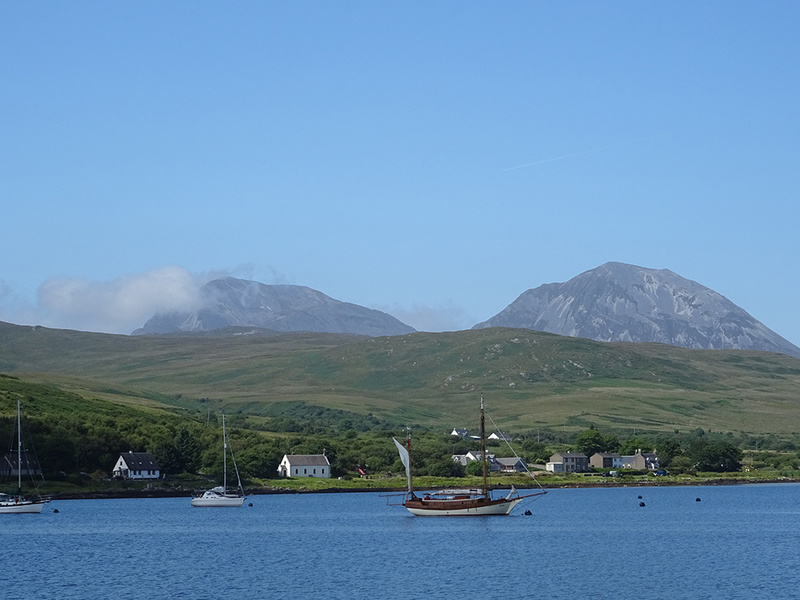 The perfect way to sail safe and sound … of Jura! The Perfect Way to Sail Safe and Sound ...of Jura! The Jura Passenger Ferry runs from 27th March until 30th September 2019. Tickets cost £20 each way. Under 5's travel free. Book online now. The Jura Passenger Ferry is managed and operated by Nicol Mackinnon, Islay Sea Safaris. The Jura Passenger Ferry - or Shannick - is a Stormforce 11, the flagship of Redbay Boats in Ireland that offer the best that RIBs can offer. The deep V hull offers maximum stability and comfort with seating for 12 passengers and 2 crew. The hard top guarantees you’ll stay warm and dry with wrap around views letting you sit back and enjoy the ever changing views, wildlife and historical sites. This is a journey you will never forget. Thanks also for the support from the Jura Development Trust, a community-run charity dedicated to improving the quality of life on Jura. Tickets are £20 each way. Children under 5 go free. Bikes and dogs travel free. All passengers should arrive minimum 10 minutes before departure time. If your preferred sailing is fully booked, contact us directly on 07768 450 000 to check availability. If you need to cancel your booking please get in touch by phone. Service runs between 27th March until 30th September 2019. In the interests of safety, anyone who suffers from back or neck problems is advised not to travel with us. All passengers should arrive minimum 10 minutes before departure time. If you are traveling by car, please use the car park ACROSS from the Tayvallich Village Hall, at the far end of the village. Travel between Glasgow and Jura by bus and ferry in less than 4 hours. As well as more than 5,000 deer, Jura offers a diverse range of wildlife. Take a gentle stroll or a challenging climb – Jura has walks suitable for every fitness level. 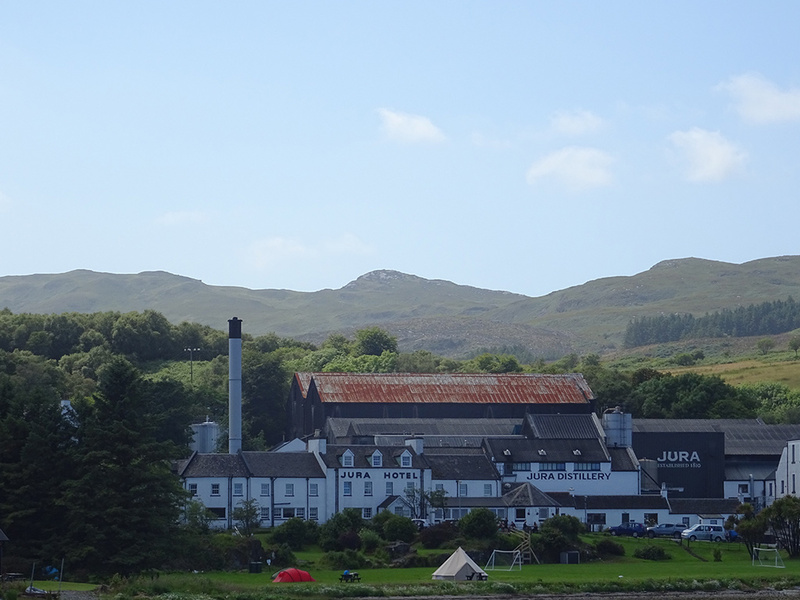 From Crofting to Heritage, experience Jura Life to the fullest. 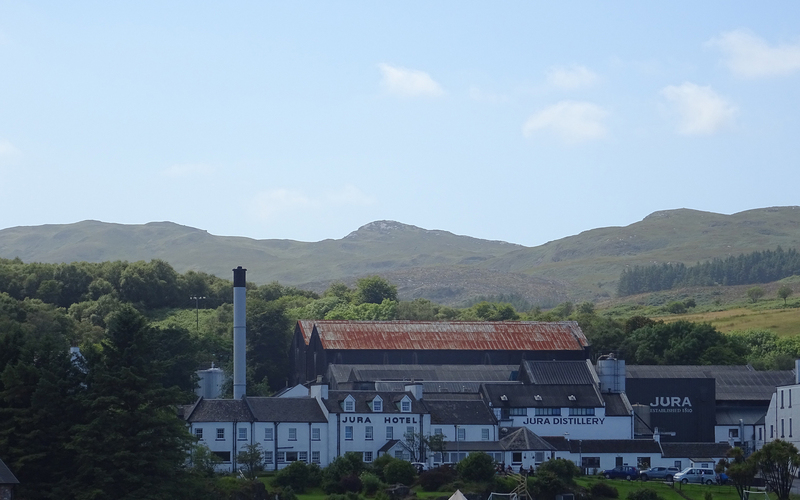 For a real taste of island life there's nowhere better to start than a tour of Isle of Jura Distillery. 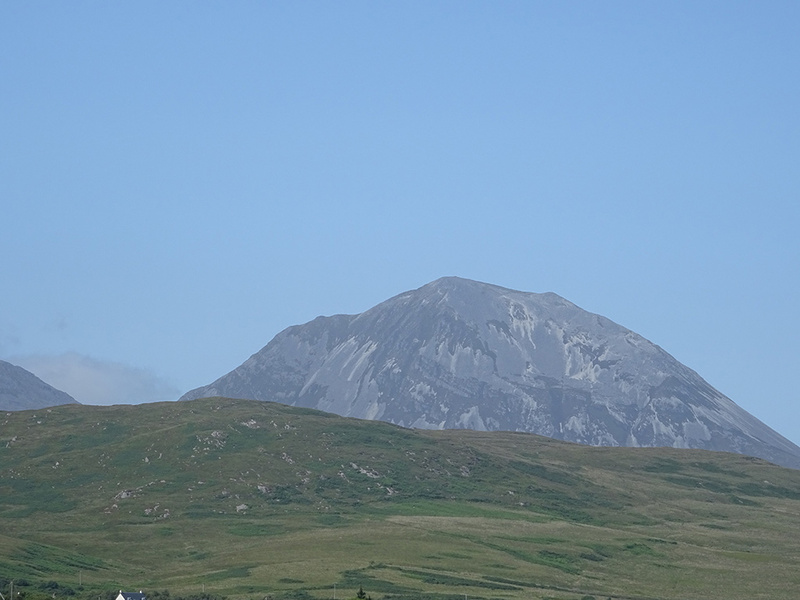 Whether strolling along the shore or heading for a challenging climb...Jura is a fantastic place to walk. If you fancy an overnight stay or maybe a long weekend then you won’t be stuck for a cosy bed. Situated at the head of Loch Sween, the idyllic village of Tayvallich is surrounded by spectacular scenery and is the perfect place for cycling and walking. The Tayvallich Inn is renowned for its seafood restaurant. Serving only the very best fresh produce Scotland has to offer, including locally caught, seasonal fish and shellfish. The Tayvallich Shop is open 9am to 6pm Monday to Saturday and 10am-5pm Sundays, closing for lunch 1-2pm each day. The shop stocks a huge range of fresh and frozen goods along with BBQ stuff, kids games, fishing gear, newspapers and a good range of wines and beers and, of course, whisky. Downstairs on the waterfront the Tayvallich Coffee Shop is open 9am til 5pm Monday to Saturday and 10am-5pm Sundays serving breakfasts, yummy cakes, scones, slices and meals all made on the premises. Barnluasgan information centre is just off the Tayvallich road. It's the starting point for a visit to Dubh Loch. There you can see the first Scottish beavers for 400 years. scottishbeavers.org.uk has more information and directions. 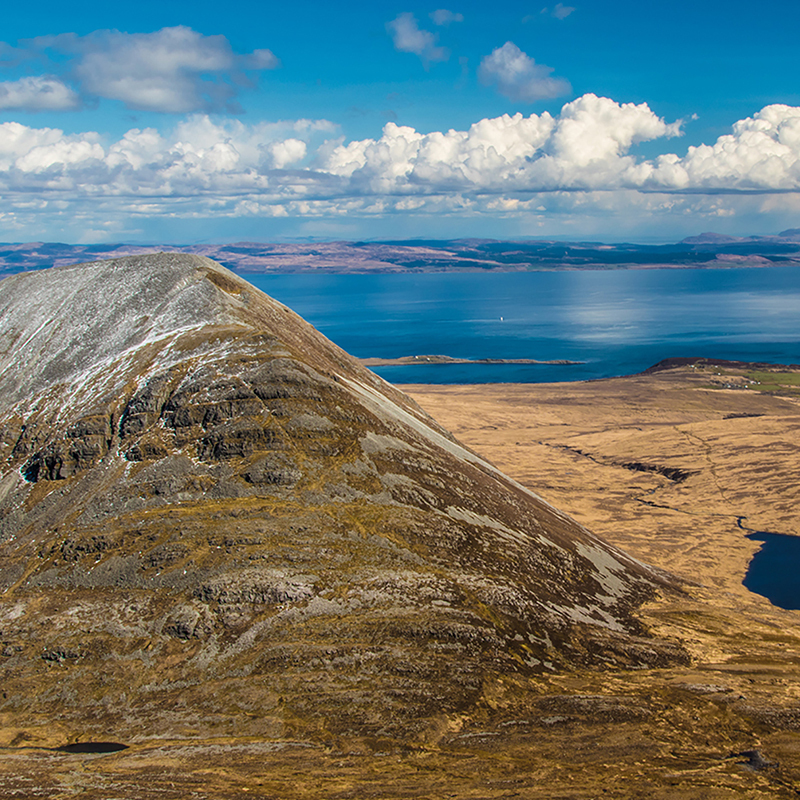 Discover the Isle of Jura - climb our famous paps, visit our distillery and sample our whisky, try our wild venison and enjoy our company. Jura, the island of deer and George Orwell’s hideout, is less than an hour away from the Scottish mainland by high-speed RIB. 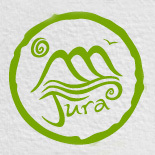 For more info on all things Jura visit www.juradevelopment.co.uk. 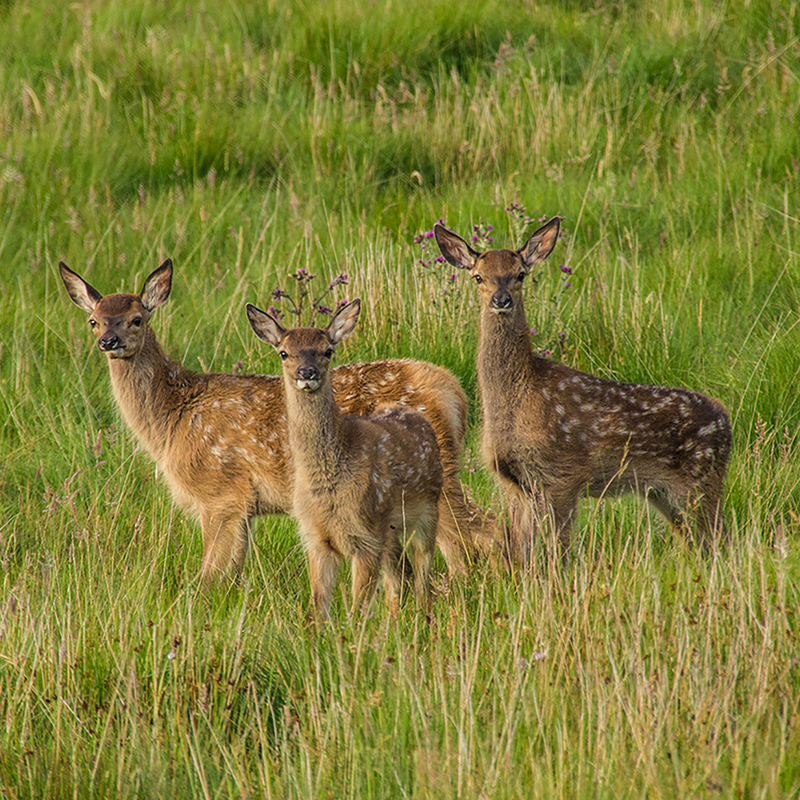 As well as more than 5,000 deer, Jura offers a diverse range of wildlife. 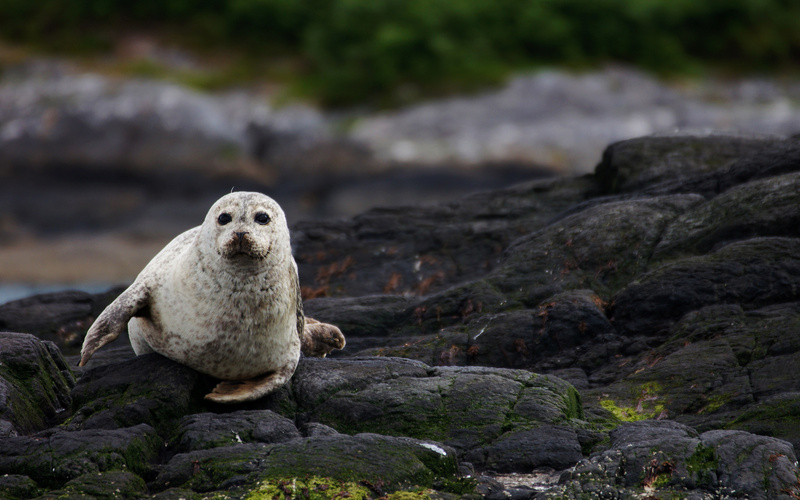 From seals basking in Small Isles Bay to playful otters along the shore, rare sea birds and soaring eagles, there’s a wealth of natural wonder in store. We regularly see mute swans, eider ducks and oyster catchers along the shore. Keep an eye out for seals basking on the rocks too, even at Craighouse. Jura has both grey seals and the smaller, dog nosed harbour seal. If it's otters you're after, the best times are early morning and evening as this is when they are most active. With an otter for every 4 miles of coastline you stand a good chance of coming across one! Lowlandman's Bay, just a short cycle from Craighouse, offers the chance to see some rare waders and waterfowl including common and purple sandpipers. With the beautiful backdrop of the Paps, which is stunning in itself, it's easy to be distracted from the amazing wildlife they hold. Out on the hills is the best place to catch sight of one of the many birds of prey found here; from peregrines and hen harriers to the gigantic sea and golden eagles but sightings are also far from rare in the Bay. Click on the animal's names above to get their stories courtesy of Scottish Natural Heritage who have more information about these and other species on their website. You won't need to wait to reach Jura to start spotting widllife. We regularly see dolphins and porpoises from the boat and sometimes they even ride along with us. Abundant bird life is always around, sometimes including sea eagles, buzzards and golden eagles. There's always a variety of divers and ducks to see. 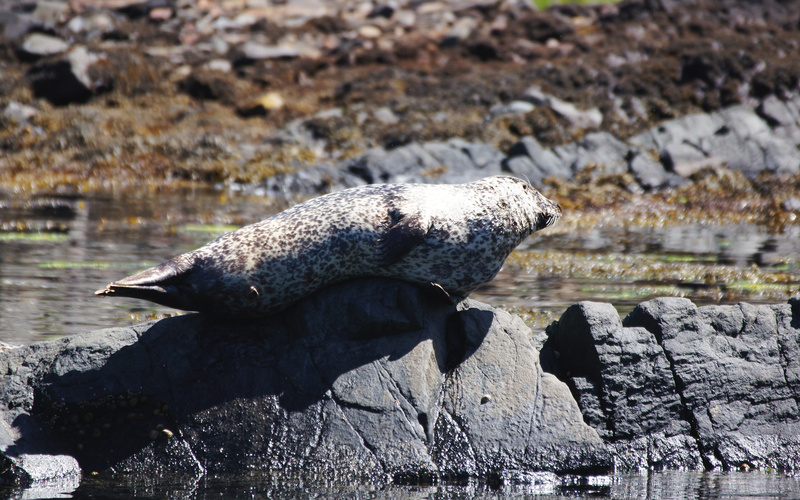 As we head down Loch Sween there are seal colonies and be sure to keep your eyes peeled for otters too. You can see them swimming amongst the kelp or bounding across rocks. 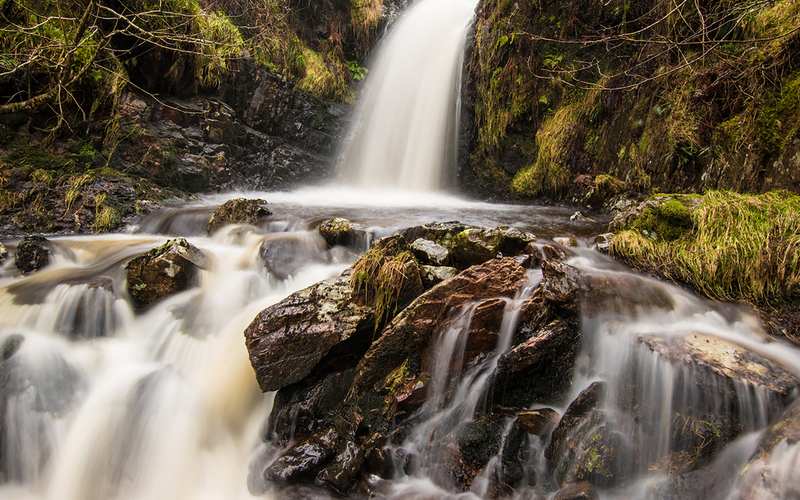 Take a gentle stroll or a challenging climb – Jura has walks suitable for every fitness level, whether you have a few minutes or a few days to spare. Maybe you want to admire the stunning views from atop one of the Paps, enjoy a gentle stroll along the beach, or something in between. Whichever way we can guarantee you spectacular views to Knapdale, Gigha, Islay, down to the Mull of Kintyre and even Antrim on a clear day. Crofting – Jura has two crofting townships - Knockrome & Ardfarnal and Keils – modern working settlements continuing to offer security to smallholders. Both are just a short car journey or cycle ride from Craighouse. 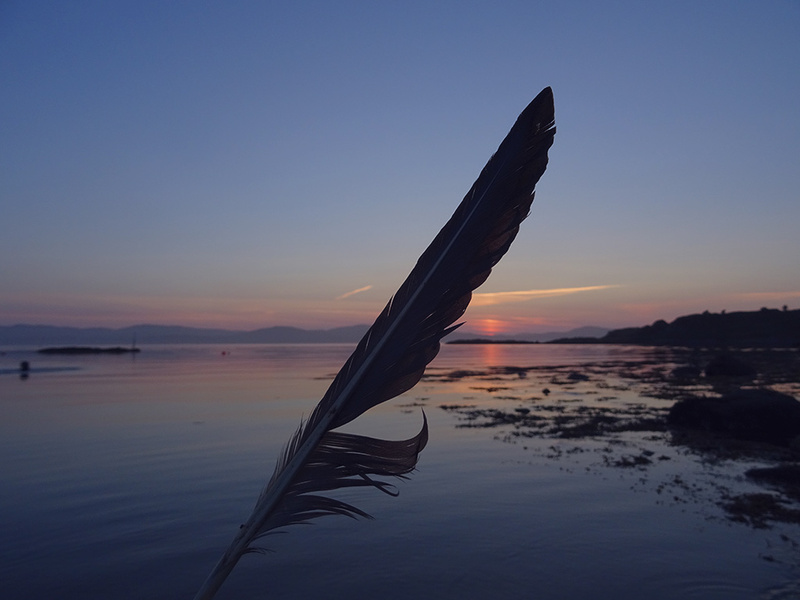 Heritage – With evidence of human occupation going back 10,000 years there's plenty to see on Jura from ancient settlement sites, standing stones, cairns and cists to evidence of former farming practices. 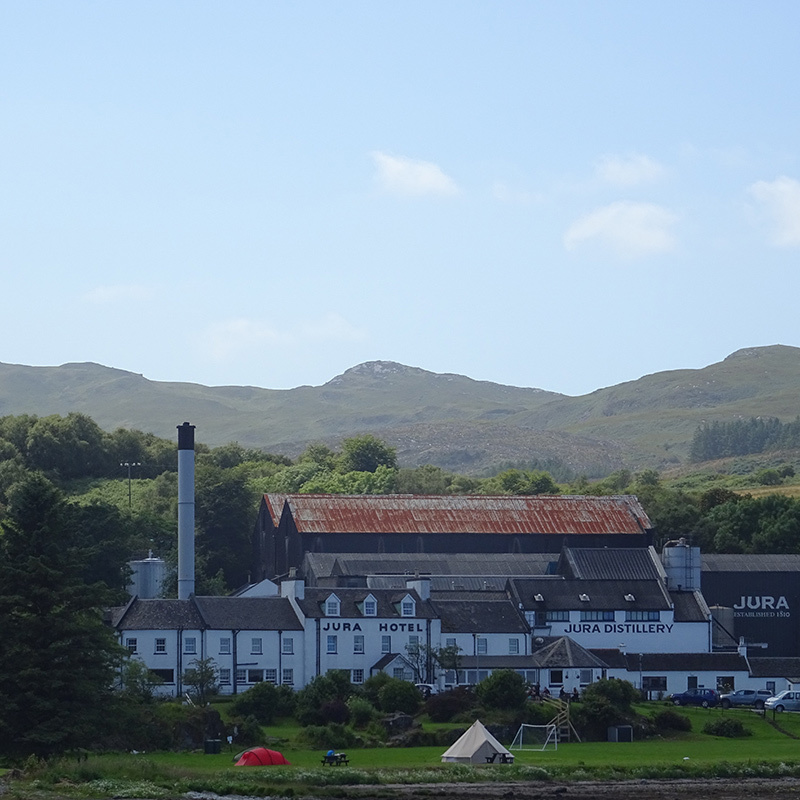 For a real taste of island life there's nowhere better to start than a tour of Isle of Jura Distillery. Founded in 1810 and now famous the world over, here’s your chance to see exactly how this unique, award-winning single malt is created. All tours must be booked, just call 0149 682 0385. Become a Diurach – Why not sign up to become an honorary Diurach and claim your free dram of the month? Visit www.isleofjura.com for more details. Jura is a fantastic place to walk. 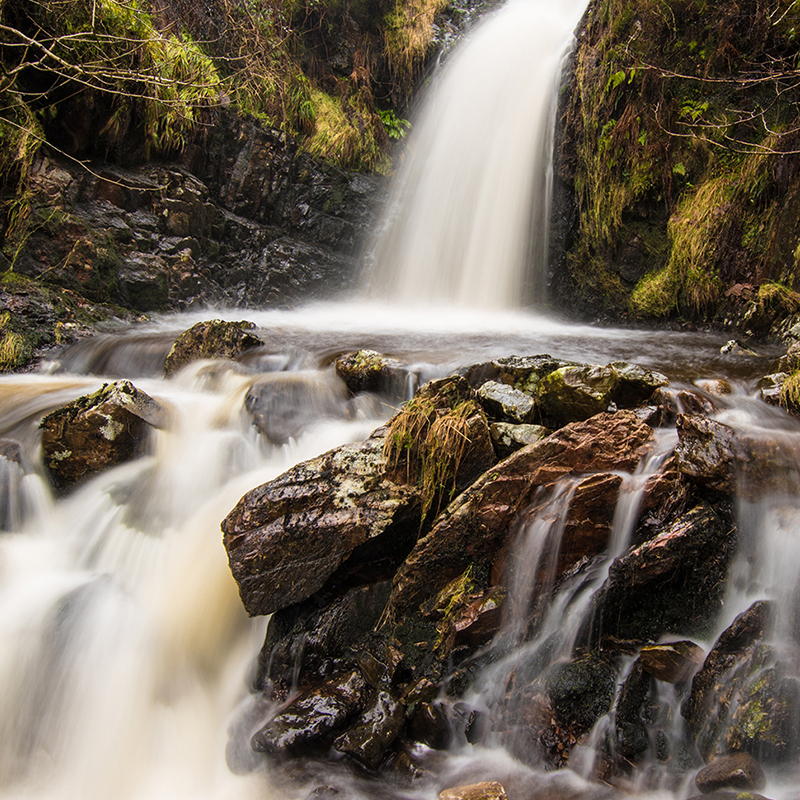 Whether strolling along the shore or heading for a challenging climb up one of the Paps, you’ll soak up the scenery and the views from every perspective. 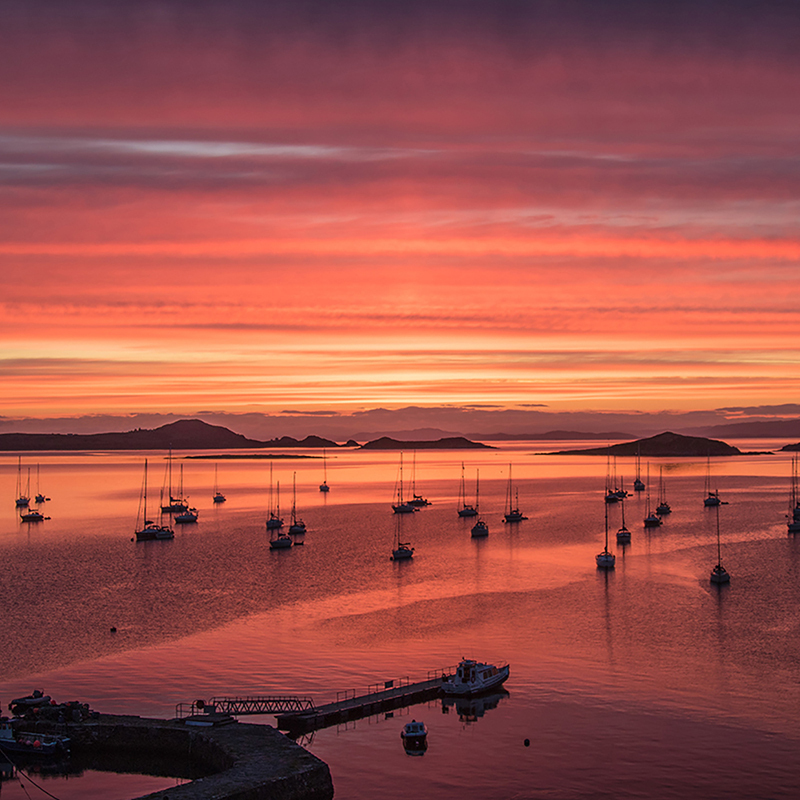 The ferry lands you in the heart of Craighouse, home to Jura Hotel, Jura Stores, Jura Bike Hire and The Antlers restaurant. With little traffic and lots to see, cycling is the ideal way to get around. A gentle 2 mile pedal around Small Isles Bay brings you to the beautiful Corran Sands. To hire a bike from Jura Bike Hire call Nicol on 07768 450 000. Buses travel from the Feolin in the south to Inverlussa in the north, you can check times and plan your trip including connections with Jura Passenger Ferry at travelinescotland.com. The full timetable can be found on Argyll & Bute Council's website. The operators, Garelochhead Coaches, can be contacted on 0143 681 0200. 2013 saw the community of Jura take ownership of the island's only shop. Bùth Dhiùra is in Craighouse, next door to the Jura Passenger Ferry terminal. The shop offers a wide selection of groceries and everything else you could need for a stay on the island. If you fancy an overnight stay or maybe a long weekend then you won’t be stuck for a cosy bed. There are a number of cottages, chalets and B&B’s to choose from as well as the popular Jura Hotel. Visit juradevelopment.co.uk for a list of providers. The Antlers in Craighouse serves coffee, teas, lunch and snacks 7 days a week in conjunction with the Passenger Ferry. Why not call by for an afternoon cream tea? Tel: 0149 682 0496. 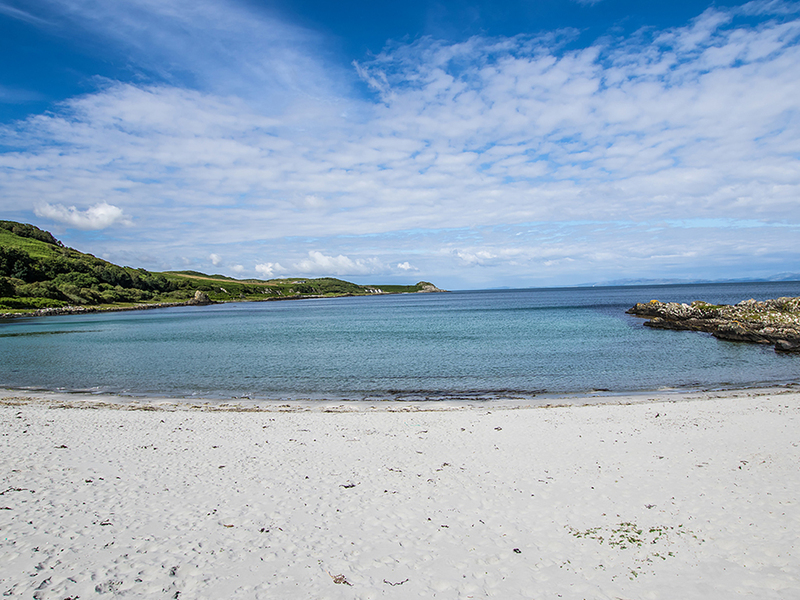 Tea on the Beach is at Inverlussa at the north end of Jura, it's a truly amazing experience with drinks and home baking served in the elements. 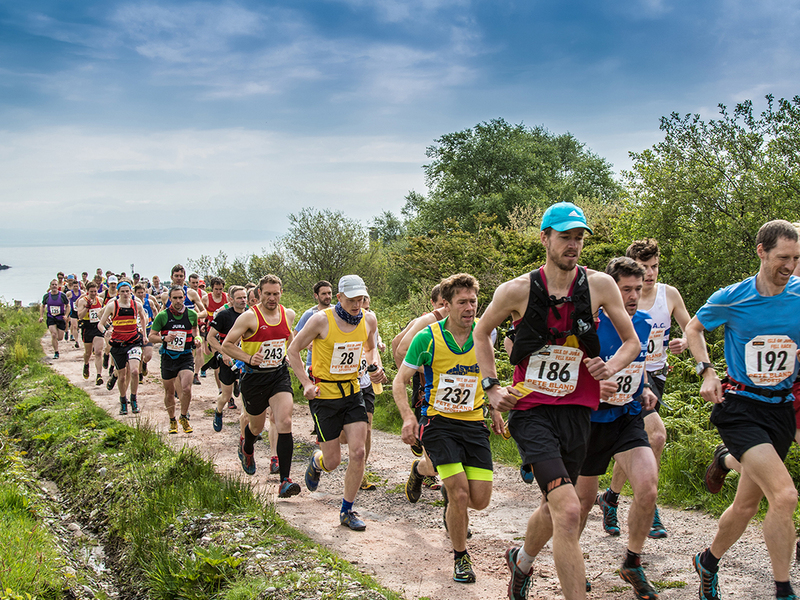 Covering 28km and 7 mountain sumits (including the Paps) the Fell Race is one of the toughest challenges in British hill racing. 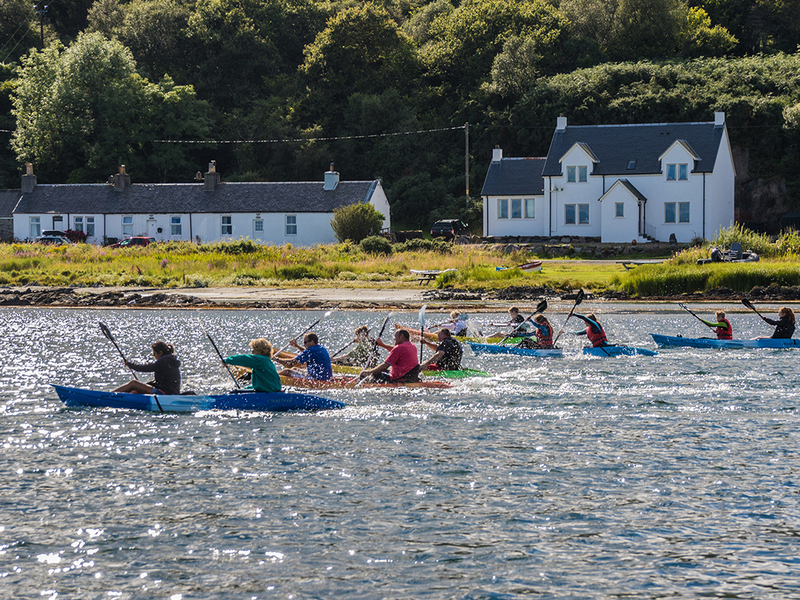 Competitors set off from Jura Hall, racing to Corran Sands and back. While not quite as daunting as the Fell Race, the Jura 10K still boasts fantastic scenery along the shore side route. Join the competitors, Diùrachs and visitors, for an afternoon BBQ at the village hall. The annual sports day includes the tug o’ war, the hammer throw and the tattie and spoon race - there’s fun to be had for adults and kids alike. If you’d rather not work up a sweat then why not take advantage of the food and drink on offer and join us for a ceilidh in the Jura Hall at night. With events ranging from the more traditional open water swim and sailing to the raft race, which sees competitors in fancy dress build their own vessels, there's something for everyone. Will you take the plunge? 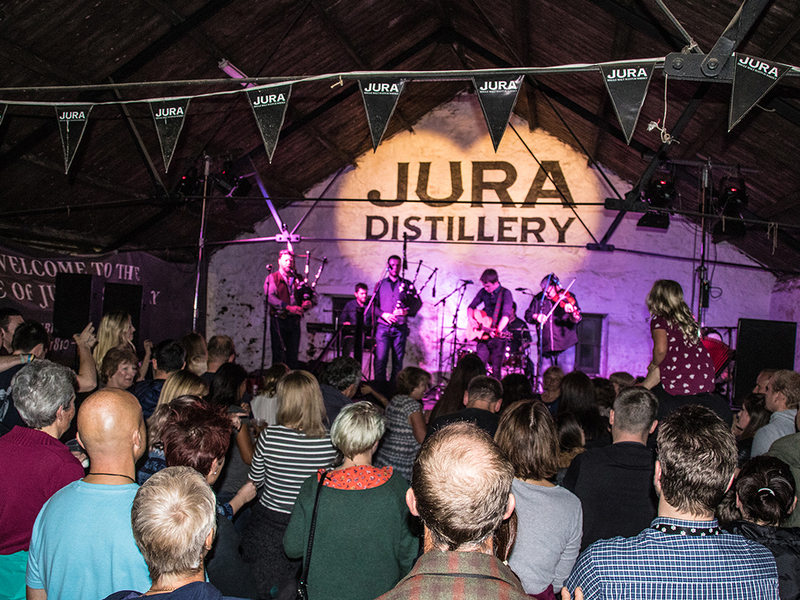 Now in its 24th year, The Isle of Jura Musical Festival is a well-established favourite for lovers of the traditional music scene. for a journey you'll never forget. Photography credit and thanks: Kenneth Cameron, Roddy Barr.